A root canal is a procedure specifically designed to save you from losing a tooth. Our teeth are comprised of certain parts, one of them being the pulp. A tooth’s pulp is where the nerve, blood vessels, and connective tissue are housed. When this area becomes inflamed or infected, then action must be taken in order to save that tooth from falling right out of your mouth. How Do I Know if I Might Need a Root Canal? When your pulp becomes inflamed or infected, you will begin to feel symptoms that prompt you to take action. These are pretty common, but certain toothaches point to the possibility of an inflamed/infected pulp. If you experience sharp pain in the middle of the night that leads into a generalized headache, then your tooth’s root may be suffering. If you see a bump near the top part of a tooth and/or pus present in the mouth, then there’s a good chance a root canal will be required. Extreme pain to hot and cold foods is a good indicator. Dark discoloration on the tooth points to a deteriorated pulp. This is a severe sign. Masking the pain using anti-inflammatory medication such as ibuprofen will only worsen your problem. If you notice a reoccurring pain that doesn’t seem to get away, then contact our dentist immediately. It is always better to save a tooth than to have it extracted and replaced. Nothing beats real enamel – despite how far technology has come. 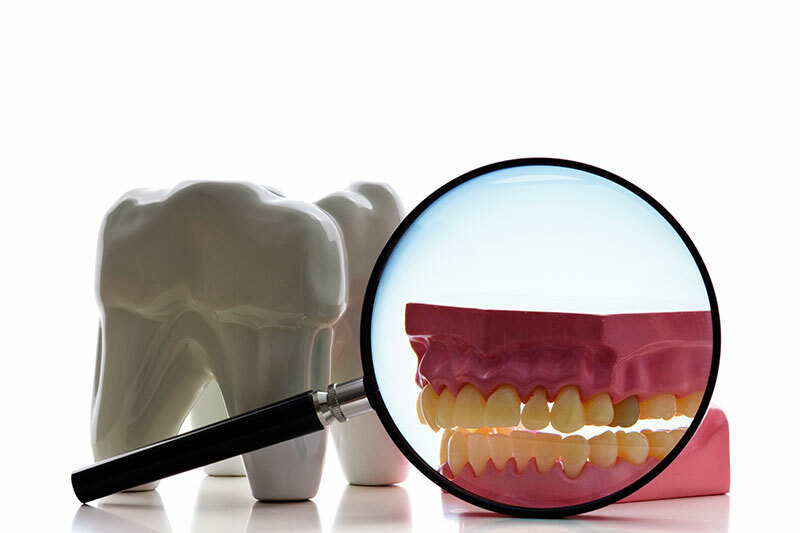 If we suspect a tooth’s root is in danger, then you will undergo an x-ray to help confirm the diagnosis. Root canals are often a two-appointment procedure, with the first appointment taking up to an hour to perform. The second appointment is for a dental crown since most of your tooth with be lost during the process and must be capped with a crown to restore its appearance. Feel free to call our office at 559-638-1777 to learn more about the root canal procedure or any other services we provide. We will be happy to assist you with any questions or concerns you may have.